Welcome to the RTSR Tracker. This is a private community, exclusively for members of RTSR and born.dirty. All torrents are encoded with a personalized key. Do not post your .torrent files on external trackers. Yes, we're on Twitter now. Click the little blue Twitter icon on the left side of this page to follow us. Exciting things are coming soon! 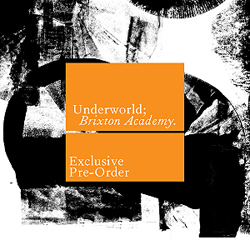 Two new live recordings of the upcoming Brixton shows are available for pre-order at Underworldlive.com. You can pre-order the CD's. Those who pre-order the CD's will receive a download link for MP3's of the show just hours after the show concludes. The other option is to purchase WAV files of the show, which will be available for purchase on Nov. 10. Also, all of the previous Live Here Now recordings are available at a discounted price at the Underworldlive.com Shop. Live Here Now have announced 6 new live recordings from the current leg of the tour. NO files are kept on this server. This site has no control of and can not be held liable for what peers share through this tracker. All peers must be the original owners of the material they share. If they are not the original owners then they need to abide by all copyright laws. By becoming a member of this site and/or uploading, each peer is in agreement with this Disclaimer. No member information is shared with anyone other than between the Administrators and Moderators.